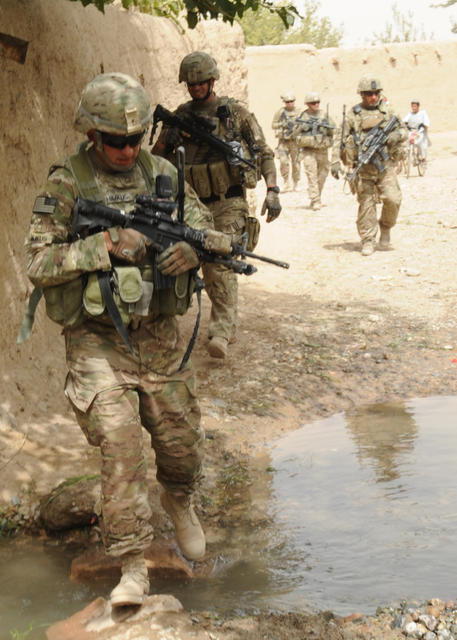 The War in Afghanistan, which began on October 7, 2001 as the U.S. military operation Operation Enduring Freedom, was launched by the United States with the United Kingdom in response to the September 11, 2001 attacks. The stated purpose of the invasion was to capture Osama bin Laden, destroy al-Qaeda, and remove the Taliban regime which had provided support and safe harbor to al-Qaeda. The United States' Bush Doctrine stated that, as policy, it would not distinguish between al-Qaeda and nations that harbor them. Insurgents attack U.S. Marines with Weapons Company, 1st Battalion, 6th Marines, at Patrol Base Georgetown in Kajaki Sofla, Afghanistan on November 22, 2011. The U.S. and the UK led the aerial bombing campaign, with ground forces supplied primarily by the Afghan Northern Alliance. 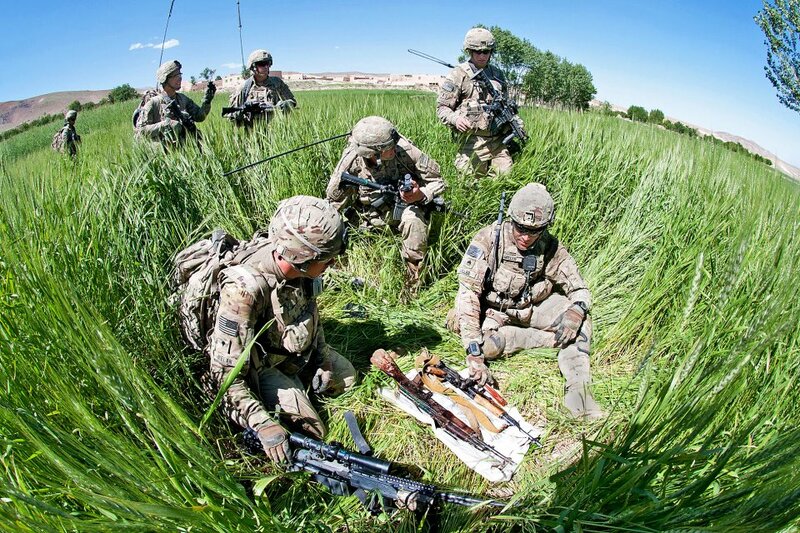 In 2002, American, British and Canadian infantry were committed, along with special forces from several allied nations. Later, NATO troops were added. 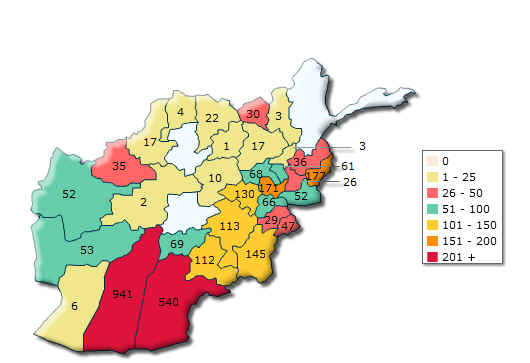 The initial attack removed the Taliban from power, but Taliban forces have since regained some strength. The war has been less successful in achieving the goal of restricting al-Qaeda's movement. 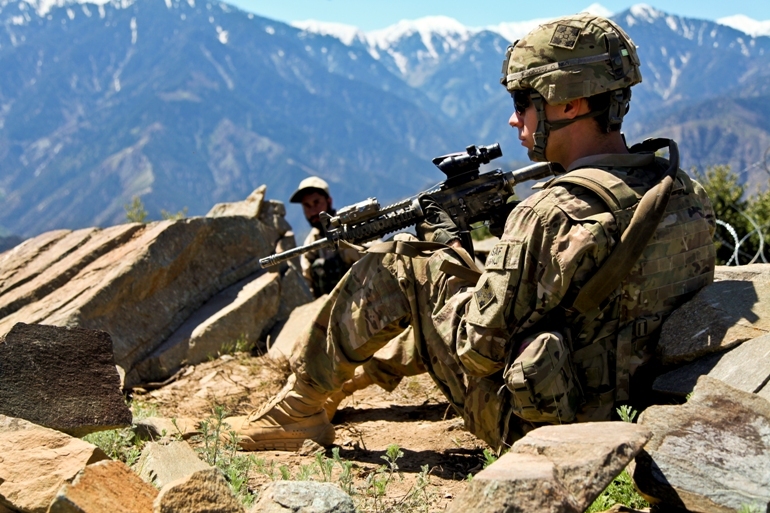 Since 2006, Afghanistan has seen threats to its stability from increased Taliban-led insurgent activity, record-high levels of illegal drug production, and a fragile government with limited control outside of Kabul. 2011 April - Burning of Koran by a US pastor prompts country-wide protests in which foreign UN workers and several Afghans are killed. Some 500 mostly Taliban prisoners break out of prison in Kandahar. U.S. Army Sgt. 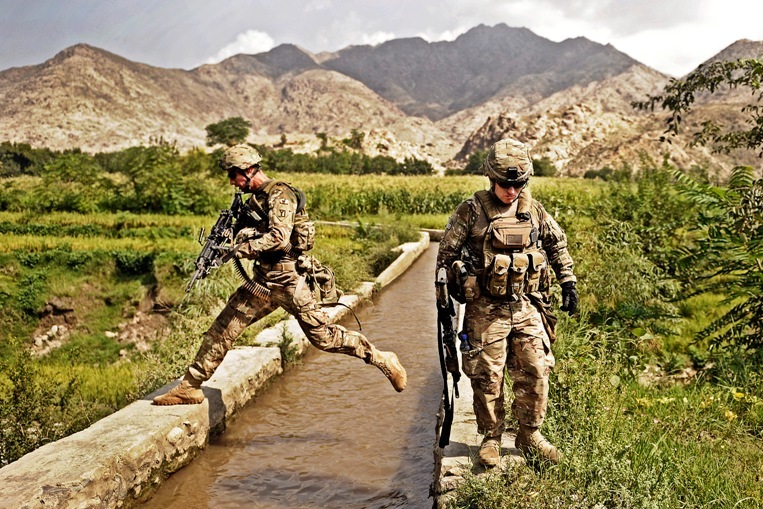 1st Class John Shimkus (left), a platoon sergeant with the Kandahar Provincial Reconstruction Team crosses a creek during a dismounted combat patrol in Babur Village, Kandahar province, Afghanistan, on Aug. 13, 2011. The Kandahar Provincial Reconstruction Team's mission is to improve security, governance and infrastructure capacity throughout the province. DoD photo by Senior Airman Sean Martin, U.S. Air Force. 2012 September - US hands over Bagram high-security jail to the Afghan government, although it retains control over some foreign prisoners. Taleban attack the nearby Bagram air base the following day. The US also suspends training new police recruits in order to carry out checks on possible ties to Taliban following series of attacks on foreign troops by apparent police and Afghan soldiers. 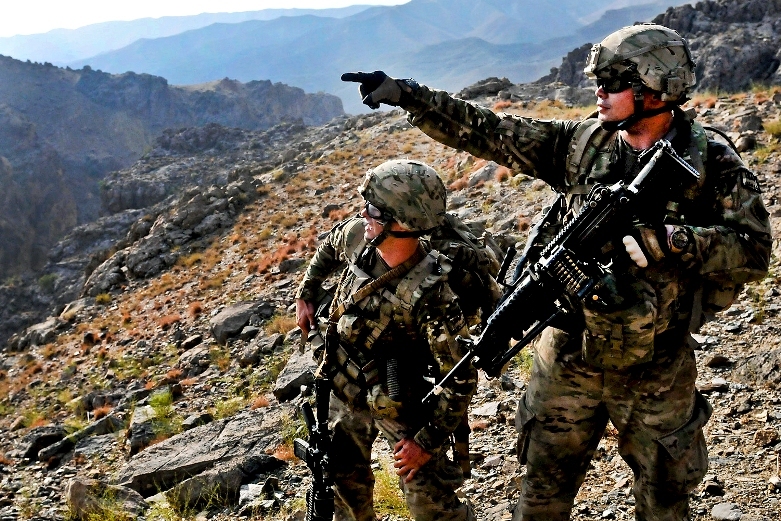 The total number of US soldiers killed in the Afghan war reaches 2,000.